- clip and save Box Tops on many of your every day grocery items. Click HERE to a list of items. Please make sure you register at www.boxtops4education.com to support Springridge Elementary. 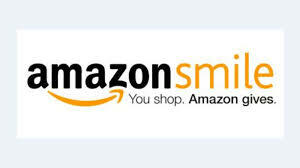 If you are an online shopper, please register to support SRE on their website, then access your favorite stores who will donate 3% - 8% of your purchases back to Springridge. Click on Marketplace to see if your favorite store is listed. Click on your store and it takes you to the same home page you normally access. It's that easy! Stores like Oriental Trading, JCPenney, Office Max, Barnes and Noble, Best Buy, Walmart and many more. . .so, please take a look here before purchasing online. sign up for an email and earn 2 for 1 box tops. The Chick-fil-A "Spirit Night" provides a unique, creative way for us to raise money for our school. With the help of our local Chick-fil-a on Plano Road, we can raise support and funds fast - and have a great time in the process. Join us every 3rd Friday of the Month to help support SRE. Just place your Chick-fil-A receipt in the Spirit Night box on the counter OR tell the drive thru attendant and Springridge will receive credit for your purchase.